What is this world coming to? 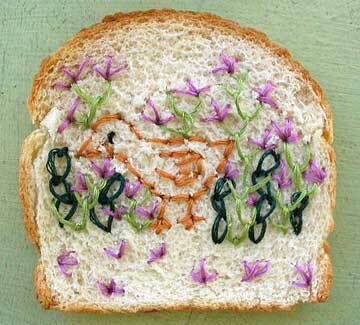 The next think I know, you'll be embroidering Jesus on slices of bread and selling them on eBay. On the positive side, they'd be great for impromptu kitchen shrines. This page contains a single entry by laura published on July 15, 2010 8:01 PM. assistance at the nut house, please was the previous entry in this blog. berry dial is the next entry in this blog.